I am a bass fisher-woman at heart, and old habits die hard. I only started fishing for the ‘other’😂species; meaning trout, about a year after I had switched over to fly fishing. I had this lull in between ice fishing and bass fishing, a void that needed to be filled. As much as I love this new chapter in my life of learning what goes on in the world of trout, my heart still lives within the confines of those lily pad laden lakes and ponds. When I fell in love with fly tying and began to come up with flies for bass, I couldn’t just forget everything I had taught myself with that spinning reel, so instead; I incorporated my old techniques into how I tied and fished my flies. I tried to imitate my favorite go-to lures, with one of them being a very lightweight 4″ suspending jerkbait. Those lures are excellent at agitating bass who are sunning themselves in the shallows, weary fish hanging out under docks and also in cold water when they are still sluggish. The Bass Agitator is the fly I use in replace of a suspending jerkbait, and it produces well when stripped and paused veryyy slowly. 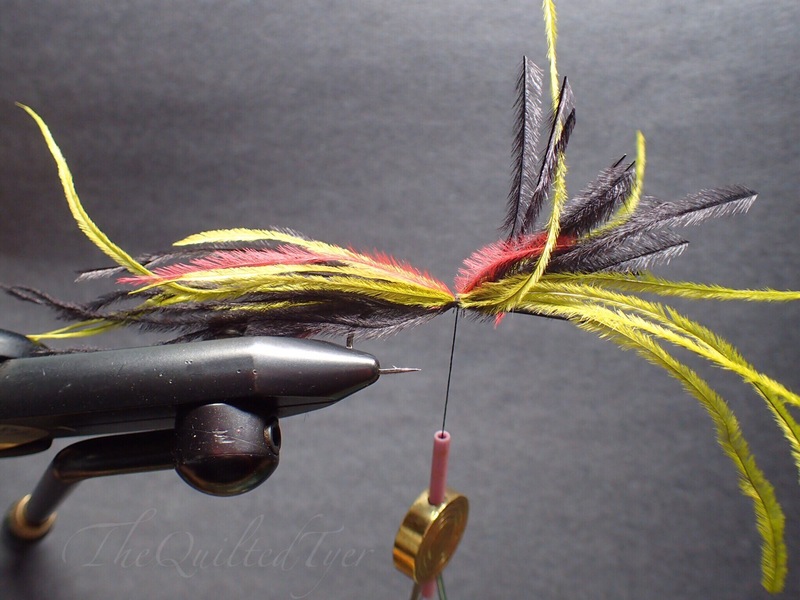 Fly tying Is a mixture of retained knowledge and learned skills. A room full of tyers is a creative mixing bowl of information and you will find this to be true anytime you attend a show. We are self taught, we learn through trial and error, we learn from others, we are beginners through experts, enjoy reading different topics, we attend and teach classes, we give and watch presentations, and we learn and share tips and tricks along the way. Once during a streamer class at the Housatonic River Outfitters my first year of tying, I was taught that if you want to keep the body of your fly a little bit bulky without adding weight, don’t snip off the excess material. Push it back. Then one afternoon at the Anglers Den; I was surprised to be shown that the simplest way to transfer eyes to your fly, was by using the end of the bodkin. Then one evening while watching Rich Strolis tie on a live video I found out that Loctite is a better option for keeping the eyes on your fly than normal crazy glue. These are all things that I have incorporated into this fly, with the knowledge passed on to me from others at different times. I also hope that as you move along your journey behind the vise, you continue to keep and open mind and absorb what skills work for you, and then pass them on to others. There is no shame in saying that we are always learning, but for some people that comes with a little bit of difficulty. Don’t become someone who is afraid to ask questions. Don’t be afraid to improve at what you enjoy. Remember, the minute you think that you know it all and close your mind to expanding your knowledge, you will immediately stop learning. 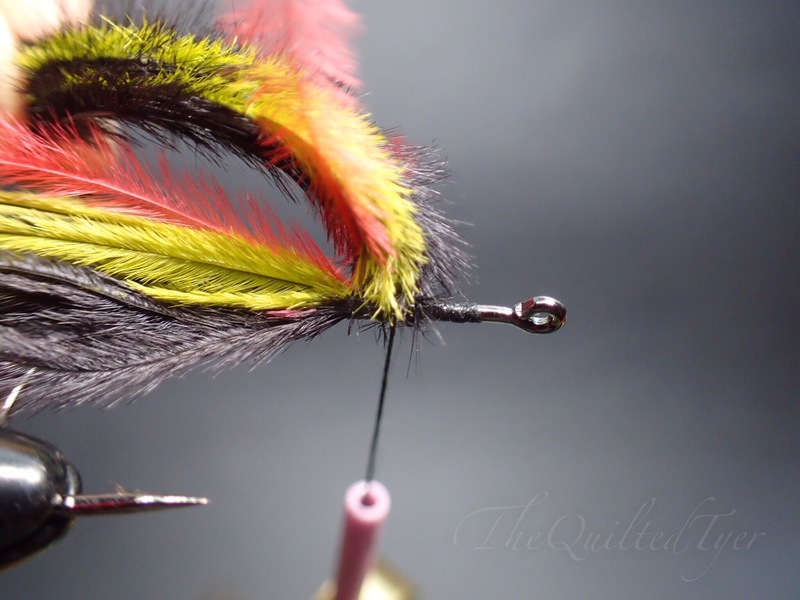 Ostrich Herl is a great material that adds movement with almost no weight to your fly. First start by running your thread down the hook shank, stopping at about the halfway point. Next you want to layer your ostrich herl at the halfway point and tie it in with a few wraps, but dont cut the waste ends off yet. Pull your waste ends back and take a few thread wraps in front of them. Don’t cut the waste ends yet, right now you want to pull them back and take a few thread wraps. Cut ends off leaving about and inch. Flare them backwards twoards the bend. In order to keep this fly shapely, when you cut the waste ends be sure to leave about and inch of material still extended over the hook eye. You can now take those ends, flare them backwards and add a few more wraps in front of the material to keep them flared back. When creating the upper body on this fly you dont want it to be too heavily hackled so go easy. Here I used three feathers in different three colors, but with only a few turns of each. 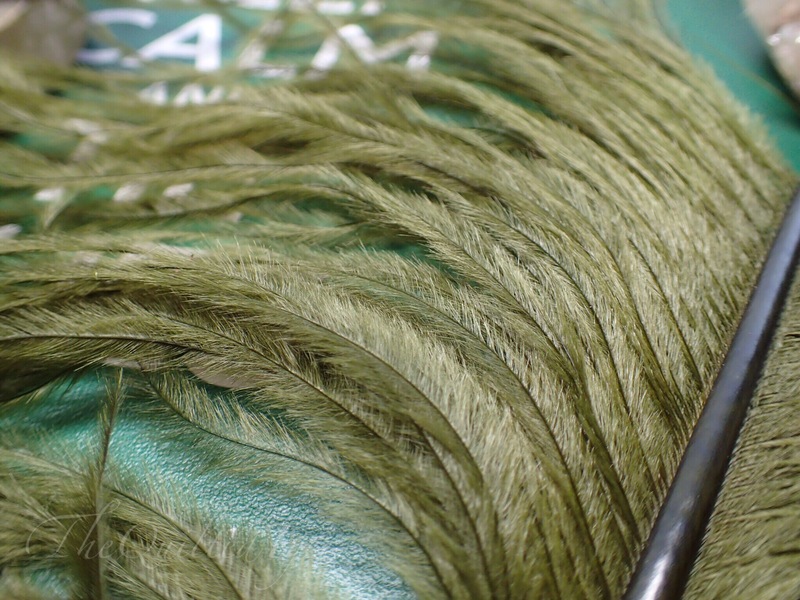 Tie in your marabou by the tip, then just take a few turns while brushing the fibers back like a soft hackle. Start with one color, just a few turns of marabou. Once you have added all 3 colors you can snip the waste ends and wrap over them. Use black and red laser dubbing on a “slide loop” to create your head. You can now brush it out, whip finish and snip off your thread. Dont forget to brush it out with velcro before applying your eyes. Laser dub is a magical material! If you haven’t used it before, take a look at the step by step here with some tips on how it works. Grab your eyes.. grab a bodkin..
Use your bodkin to lift the eye off the paper and add a dab of loctite to the back of it. Finally use the bodkin to position your eye over the area in which you want to place it. Slide it off the bodkin and repeat on the other side. Then push firmly on both together, basically just squeeze them at the same time to lock them down. Whip finish and get to fishing! This is a great fly in lakes for bass or trout who are cruising the shallows, as It will suspend after each strip. If you are targeting the shallows for largemouth bass, this fly will agitate them immediately. Fish it on a floating line, Cast it up against the bank loudly, and pull in the slack while slowly lifting your rod up to glide this across the bed. They will slam it out of the way. When fishing it in deeper water, use a full sinking line/sink tip and after the first cast cast, drop the rod tip about a foot down INTO the water and start stripping. This will bring that fly down farther without added weight and keep constant contact with it so you can feel any strikes. 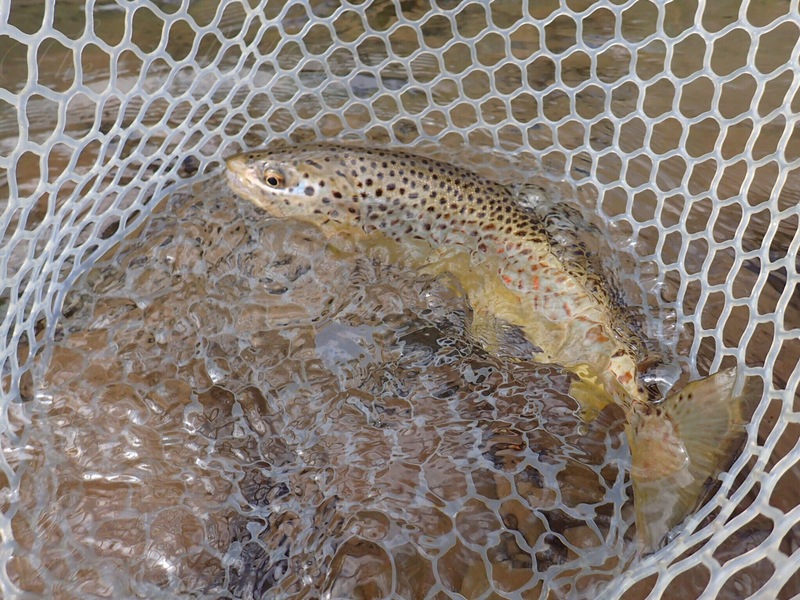 Don’t limit this fly to bass fishing, because trout love it as well. I fish this streamer in rivers with a full sink or a versa leader, and when I want to get this down in the water column to the bottom of a pool I will cast it out, then drop my rod tip in the water just like I do on the lake, and strip it back as you would normally when you fish streamers. Dropping the rod tip in the water a few inches will help bring it down where you want it without being so heavy that it gets snagged. I hope everyone’s had sometime out on the water these days! Happy Tying!